Avid Mavo enthusiasts will know that we’ve gone a little infographic crazy over the past year or so. 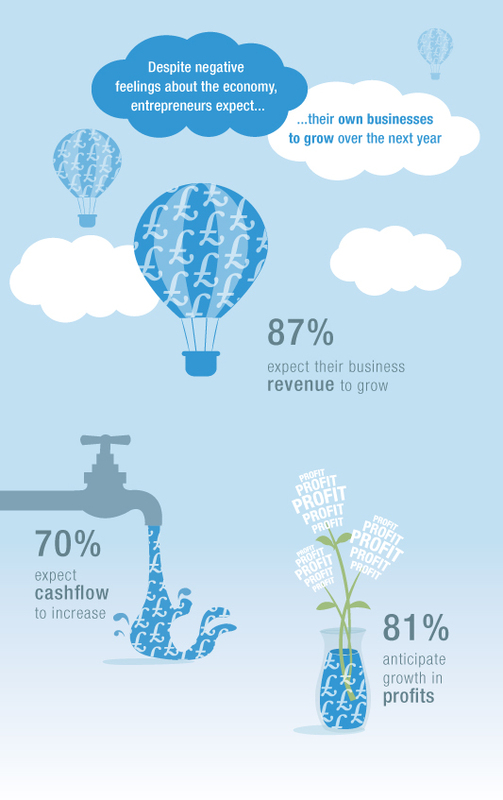 So it may come as no great shock to announce, we’ve recently put the finishing touches to the latest in an ongoing series of infographics designed and created for Investec Bank’s Entrepreneur Confidence Index. The latest edition is published in its full glory on the Investec website and can be shared across social platforms. For further information about this or related design / digital work created at Mavo Studio visit here. We’ve recently put the finishing touches to a new look brand identity and brand guide for The Galliard Group of Companies. With a legacy in the Residential and Commercial property sector across the UK, Galliard had some pre-existing brand elements which were modernised during the design process. Broadly speaking however, the majority of our strategic, creative and design work has helped to give the property group a more consistent and unified brand, which will enable the business to communicate with a more authentic voice and powerful visual presence. For further information about this project visit the Mavo Studio portfolio. As the world becomes more ‘Social’ and platforms like Linked-In, Twitter, Facebook and YouTube grow in popularity, brands and businesses naturally want to take advantage of the useability of these interactive tools in ever more inspiring and sophisticated ways. This is where design can really help. 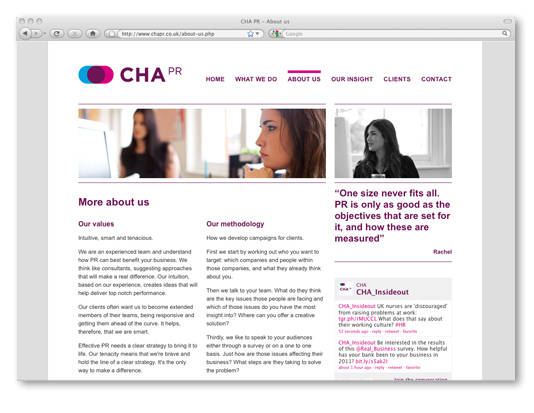 By turning company statistics, press releases, promotions and campaign messages into beautifully designed bite-size pieces of communication, they become perfect for interacting with and sharing. 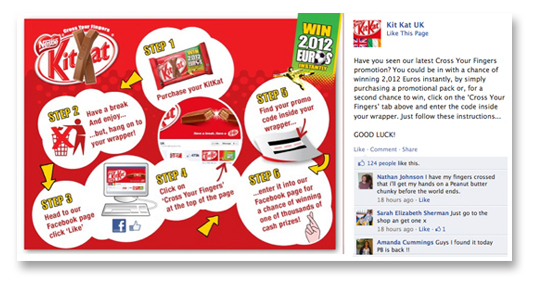 Take for example a campaign graphic we recently designed for KitKat’s Facebook page – the instant ‘Likes’, ‘Comment’ rate and rise in user engagement (within a matter of hours!) demonstrates the case – if you make the effort to design your message well, there’s every chance your audience will be captivated enough to truly engage and ‘Share’ it. 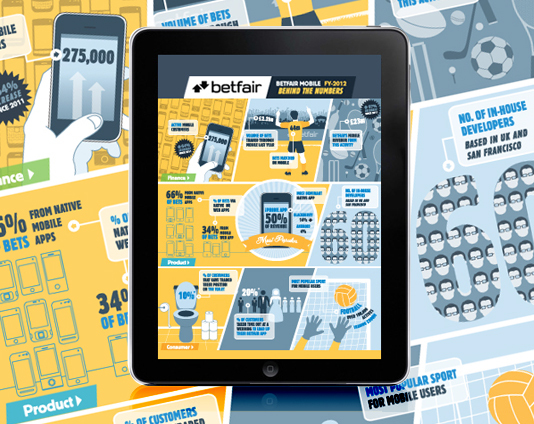 Infographics are a great way to make and otherwise complex story more engaging and visually compelling. 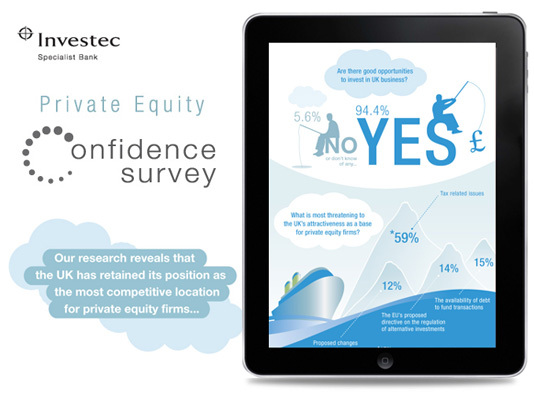 On the back or our recent infographic design work for Investec, we’ve designed and documented a new story… this time charting the confidence levels in the world of private equity. To view the infographic in full visit here. 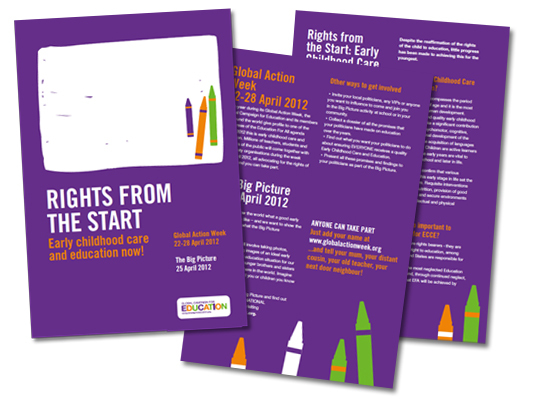 As part of our ongoing work with the Global Campaign for Education, Mavo Studio have created the identity and promotional media for the “Rights From The Start” campaign (part of Global Action Week 2012) which aims to raise the profile of education worldwide. 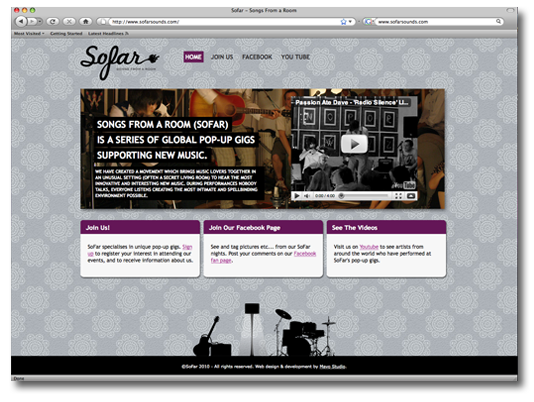 The campaign media has been translated into designed and translated into five different languages (including Arabic, French, Spanish and Portuguese) and will be launched in early 2012. 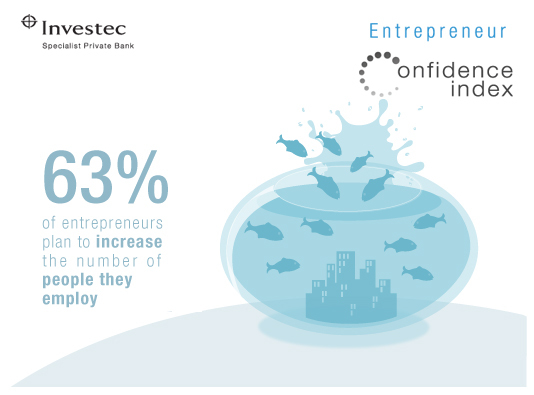 After detailed analysis of research commissioned by Investec Specialist Private Bank, we’ve recently put the finishing touches to an infographic charting the confidence levels of the Entrepreneurial community in the UK. 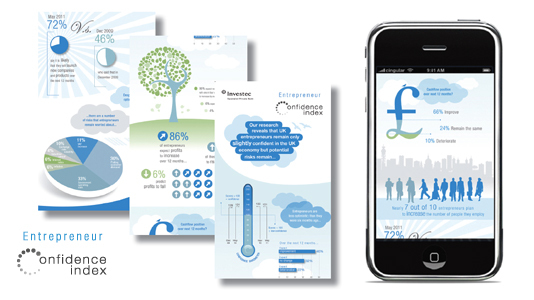 Aside from being a great way to spread your message both on and offline, infographic design can help otherwise complex or detailed information become clear, comprehensible and visually engaging. Plus, the more accessible the campaign, the further the reach. 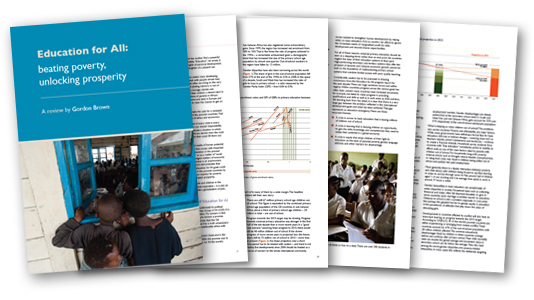 Mavo Studio have just put the finishing touches to the design of a report on education authored by former UK Prime Minister, Gordon Brown MP. The report will be launched by Gordon Brown alongside Graca Machel and other members of a high level panel on education including Queen Rania and Kofi Annan. 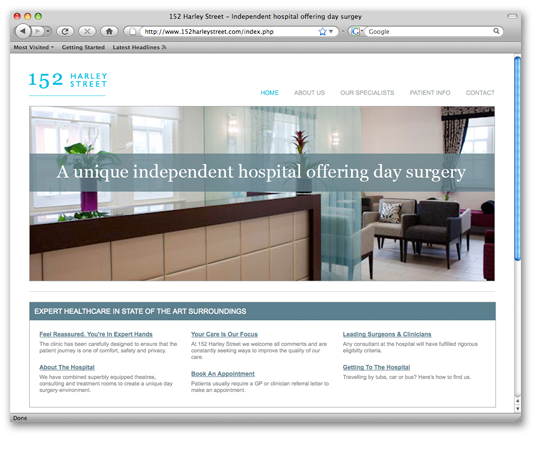 We have successfully designed the brand identity for a new day surgery hospital at 152 Harley Street, London. 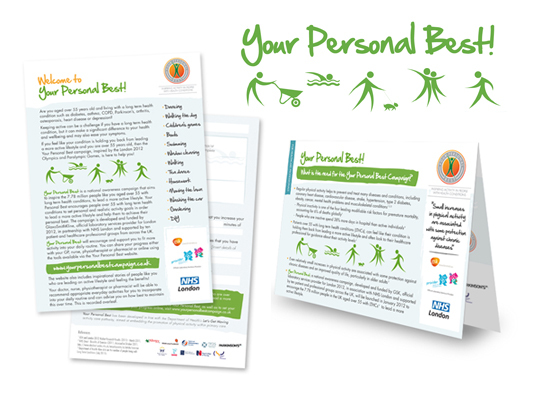 Together with the design and production of brand and marketing materials, we have produced a mix of internal clinical and patient media for the day to day operational side of the hospital. 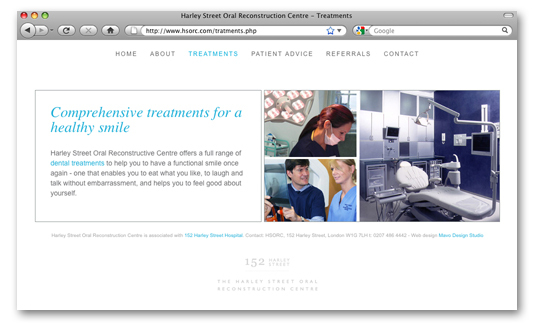 Further, Mavo have designed and developed the 152 Harley Street website which will grow in terms of content as the clinic develops. We’ve been delighted by the ongoing support for 1GOAL. The hard work of the organisation together with our creative design and digital campaigns have played a part in helping the charity grow its support base to a global count of 18 million people. 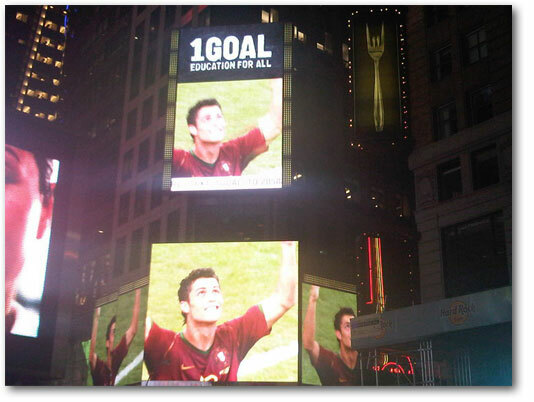 We hope our animation recently played in Times Square, New York helps to grow the brand even further. What’s more, you can now see Mavo animation work at the beginning and end of this testimonial for 1GOAL by Spurs and England centre forward Peter Crouch!